An information brochure is available at City Hall, Monday-Friday, 8.00 AM - 4:00PM. Haynesville has below average cost of living and favorable tax rates; the perfect community for retirement. The town has a mayor-council form of government, dating back to 1901. The parish seat is only 12 miles south in Homer, site of our historic Greek Revival Courthouse. Haynesville is served by the Louisiana and Northwest Railroad with connections to the Union Pacific and KCS Railroads; Fed-Ex, Motor Freights, UPS and US Postal Parcel Service, also serve the area. The nearest commercial airports are Shreveport (70 miles) and El Dorado, AR (40 miles). 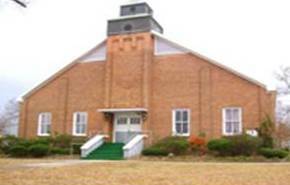 Joe Webb branch of the Claiborne Parish Library, 1919 Main Street, (318)-624-0365, Monday - Friday. Hardware Store, Gift Shops, Pharmacies, Flower Shop, Insurance Agencies, Community Medical Clinic, Church, Storage Units, Grocery store, City Hall, Bank, Restaurant, Fitness Center, Library and others. Local Businesses just off Main St.
Auto Parts, Garden Shop, Bank, Historic Post Office, Police and Fire Departments, Beauty Shops and Claiborne Parish Fair Complex (site of many local and regional activities, as well as the local voting precincts). (318)-624-0610 - swimming, Ladies Day Lunch, Lions Club bi-monthly meetings. The Haynesville Housing Authority is located at 1953 Mill Street, office hours 8-4:30, M-F. The Authority is dedicated to providing quality service, resources and guidance to our residents to enhance housing services.